I feel like the state of my hallway sets the mood for the day. I know my day will be chaotic when I walk down to find 60 shoes and various clothes on the floor like a school child has spontaneously combusted at the bottom of the stairs. But imagine the joy of walking into a hallway that is styled and elegant and has no hoodies on the floor. Well this week I experienced the joy of a beautiful hallway …for a brief moment at least! 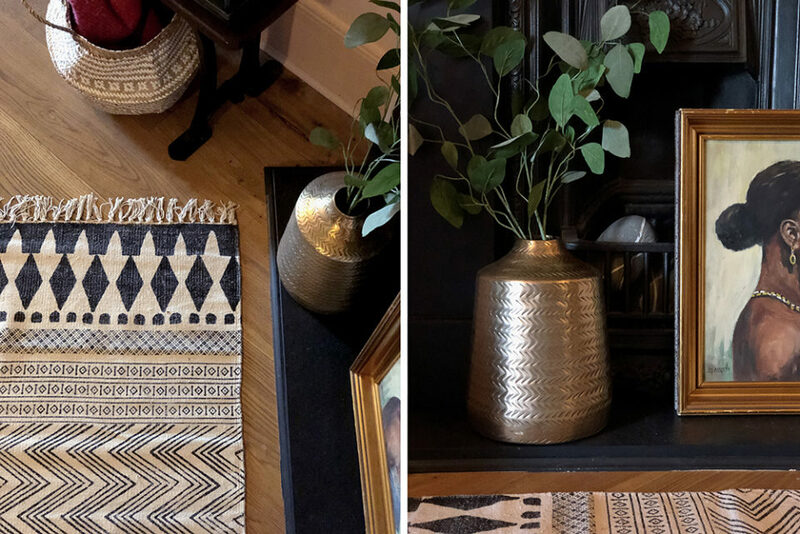 Cox and Cox approached me to choose some items from their current collection to style in our home, I thought it was the perfect chance to sort out our hallway. 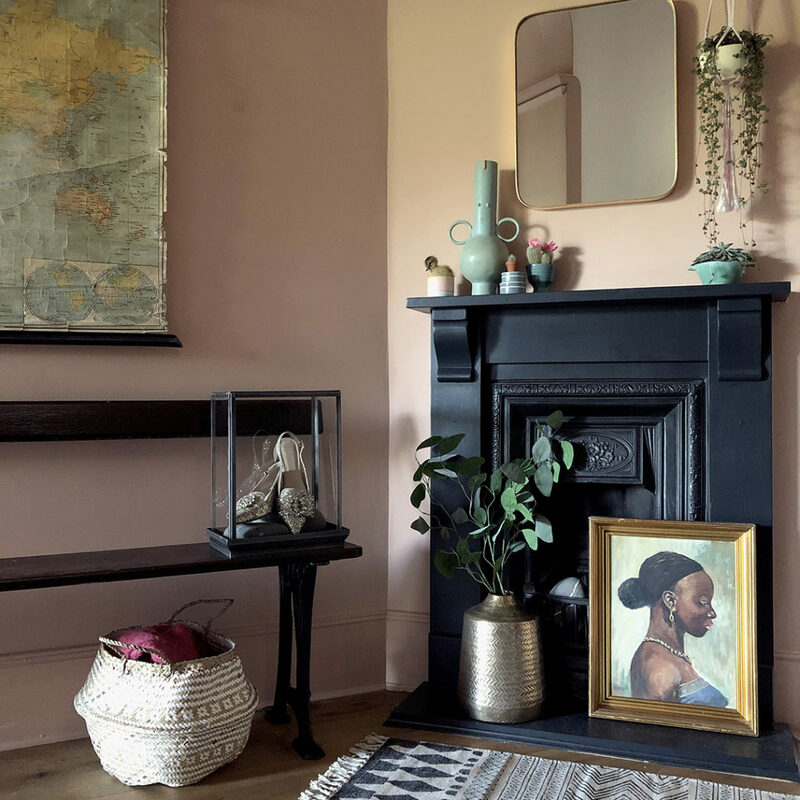 Our house is Edwardian, and it seems the Edwardians loved a fireplace in the hall, not sure why, but it sure makes for a cute spot to put things on a mantlepiece. 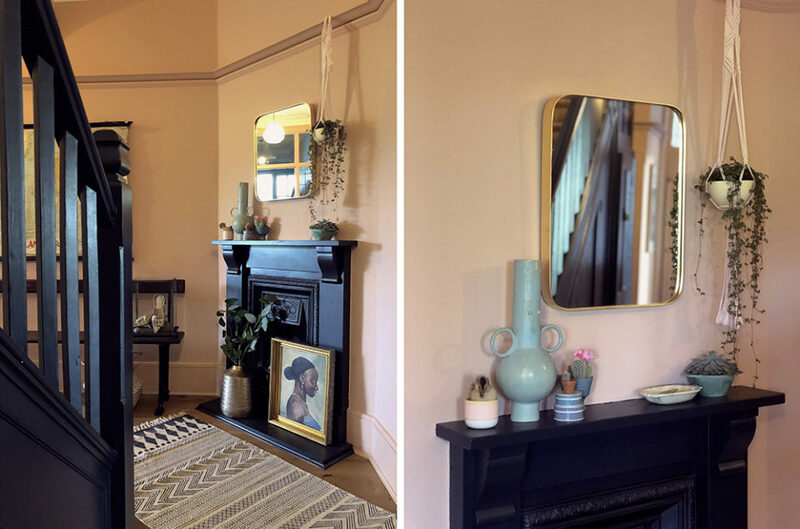 We needed a mirror in the hall (a ‘check yoself’ mirror if you will), so I chose this gorgeous round cornered brass one as well as a large brass vase, a geometric rug, a cute basket to hide stuff in.. oh and a glass cabinet that I thought I would put a plant in, but it turned out better when I filled it with really fancy shoes. 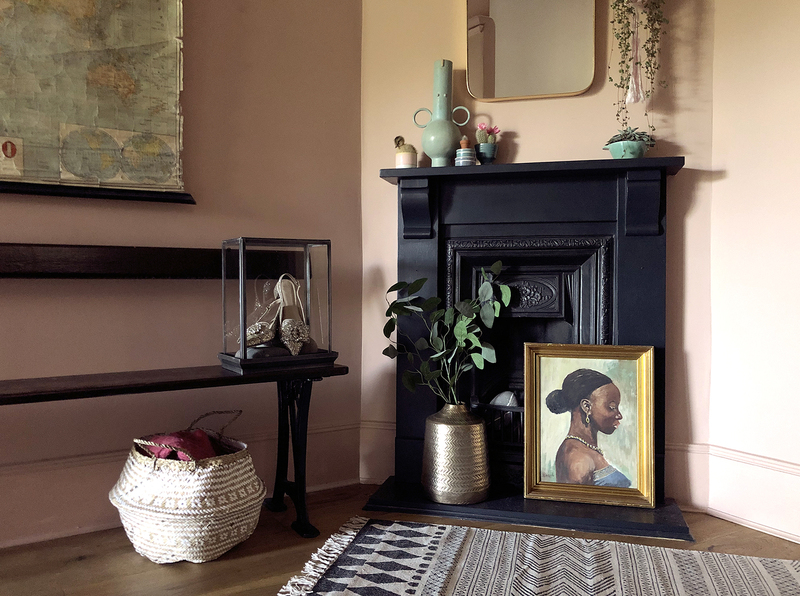 I love all of these beautiful, simple pieces that look like they have always been part of our home. They are full of character to fit in with the rest of the ornaments, which are all either handmade, or vintage, but neutral enough to let the vintage bits and bobs shine. And I’m loving the faux eucalyptus spray, a bit of foliage always brings life into a dark space. Have a look at Cox and Cox’s storage section for some great ways to fight the clutter. This is a sponsored post in collaboration with Cox and Cox.